Fast-acting and easy to pour, Jobe’s organic fertilizer serves as the perfect, all-purpose fertilizer for spreading on garden beds meant for flowers, vegetables, shrubs, trees, and any other plant you can think of. Not only that, but also it contains its signature Biozome, which is a microorganism which breaks down material at a faster pace, thereby giving you results sooner than later. Finally, it is certified by the USDA for safety purposes, thus putting you at ease when using it for your precious plants. Fast-acting and easy to pour. Works on a wide variety of flowers, vegetables, shrubs, trees, etc. Contains Biozome for breaking down material faster. Can get moldy easily, which is not ideal. After purchasing and trying out Jobe’s organic fertilizer, I have found it to be fairly decent when it came to growing peppers and tomatoes in my garden. What really struck me was how fast-acting it was: within a couple of weeks, my crops were in bloom! I have to appreciate Jobe’s Biozome feature for the rapid growth, as well as keeping them healthy and whatnot. Granted, it tends to get easily moldy if left out for too long, but so far, it has not been a huge problem. 100 percent natural and organic, Shin Nong’s all-purpose fertilizer is sure to knock your socks off with its efficiency, let alone make your garden a knock-out for attractive purposes. It does its magic by maximizing microorganism activity, which allows for the roots to become stronger and augment its ability to retain water and nutrients for a healthy lifestyle. It is disease-resistant, as well as pest-resistant, and it is gentle on the soil and plants, making sure that they are not accidentally killed off. Is 100 percent natural and organic. Some plants might take longer to grow than others with this fertilizer. Overall, I have few complaints when it comes to using Shin Nong’s organic, all-purpose fertilizer. So far, it has been pretty good, especially excellent at its microorganism activity. Thanks to that, my crops have strong roots and are pretty hardy against any harsh weather and conditions that might otherwise topple them. True, some crops have taken longer to grow with this fertilizer, but otherwise it has been no problem. Fox Farm’s Big Bloom Liquid Concentrate fertilizer is distinctive due to its special micro-brew formula which gives it a more potent edge to making your plants, flowers, and crops especially beautiful and flourishing. It is especially great for enhancing flower fragrance, as well as its oil production, so that your garden will be all the more attractive than ever before. Plus, it is easy to use and is well-packaged into a pint for simple pouring. Has micro-brew formula for a potent growing edge. Great for enhancing flower fragrance and oil production. Is easy to use based on its packaging. 1 pint is on the small side, especially for a large garden. Fox Farm Big Bloom Liquid Concentrate fertilizer has been working pretty well so far for me, particularly when it comes to growing some hibiscus and magnolias. I really love how the micro-brew formula is strong and has made my blooms look so good within a span of a few days. Never before have my flowers smelled and looked amazing until now! The packaging is simple to open and use: all you have to do is tear and pour. While the amount is on the small side (thereby not ideal for larger areas), it works perfectly for small gardens. This particular lawn fertilizer from ﻿Scotts Turf is unique in that it can work both on standard lawns, as well as southern ones. 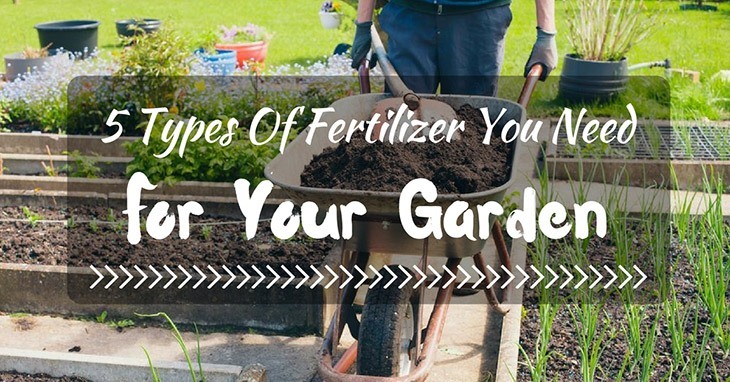 Especially since it can be difficult maintaining a freshly-green lawn in hot weather (like in the South), this fertilizer is the answer to the problem. Aside from protecting the lawn from heat and drought, it also improves the lawn’s ability to absorb water and nutrients to store up for later. Finally, it can be applied just about any time of the year, any season for consistently good results. Works well on Southern lawns for a distinctive purpose. Protects the lawn from heat and drought. Improves the lawn’s ability to absorb water and nutrients. Might not be very effective in keeping the grass texture consistent throughout. In general, I found Scotts Turf Builder Southern lawn fertilizer quite effective on my lawn, especially since it is in the South. I am sure it works well with standard lawns, too, but in any case, it has been great so far, protecting my lawn from yellowing from the heat and drought. The lawn appears to take in water and nutrients very well, which has been impressive. However, there are parts of the grass which appear rather inconsistent in texture, so I am not sure if it is due to the fertilizer itself or uneven planting. What makes this specific plant fertilizer from Miracle-Gro especially great is the fact that it already measures out packets of the material to use—now, you do not have to worry about estimating just how much is enough for your lawn, and get right down to gardening sooner than later. It is convenient, quick, and it is far less of a messy process than others. It feeds every 1 to 2 weeks, thereby producing a fast growing cycle, so that you can get right down to harvesting them in no time. You will see your plants and crops grow twice as big as usual, all the while being of good quality. Offers pre-measured packets for convenience and cleanliness. Feeds every 1 to 2 weeks for a fast-growing cycle. Plants grow twice as big through the Miracle-Gro fertilizer. Might actually kill a few of the plants. So far since using it, Miracle-Gro’s all-purpose plant fertilizer has been decently successful in cultivating my plants and crops with ease. The pre-measured packets have been a life saver, so that I do not have to undergo the painstaking process of measuring and otherwise estimating the right quantity needed for a successful garden. Besides that, my plants have grown remarkably fast, within a couple of weeks, at most! They have also doubled in size, which for me has been a great achievement. Unfortunately, perhaps 20 percent of my plants got killed off due to overconcentration, but otherwise, I am pretty satisfied with the results. Thank you so much for your best organic fertilizer list!! I never heard of Shin Nong’s Pro Organic fertilizer before but after I gave it a try based on your info, this stuff is awesome and my veggies are growing like crazy!! I’ve tried so many other products but once I find out those are all chemically modified products, I was really looking for a good stuff and thanks to you guys!! I see some molds occasionally but this proves it’s a natural stuff. I love it!! !